I never thought at the age of 36 I would have god kids that would be graduating from high school, but that’s what happens when you marry a woman who is older than you and had friends that had teenage pregnancies. In my wife’s circle of friends, I’m one of the the few people, including my wife, that has a four-year college degree. On top of that, I graduated from Pepperdine University, which is a fairly prestigious and affluent private school located in Malibu, CA. Given my college experience and overall successes, I’m often sought out for advice on college from our friends who have kids getting close to the college age. Because many of the kids I’m talking to have parents that did not go to college, their parents want me to encourage the kids to go to college. While I’m a huge proponent of education and going to college, I do not thing college is for everyone. 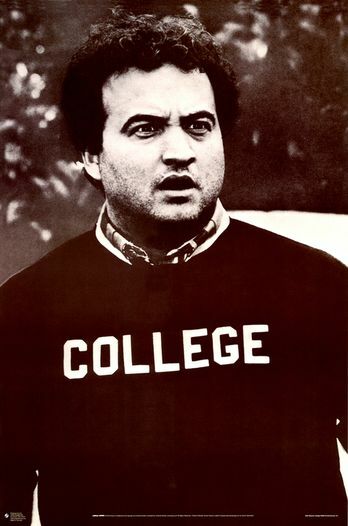 In fact, I believe that way too many kids are going to college that shouldn’t. Many parents push their kids to go to college because they want them to succeed. And by succeed, they want them to get a degree that they can hang on the wall and a steady job. The problem with this is that it often doesn’t align with what the child wants to do in life or what the child is good at. For example, before going to Pepperdine, I attended Shasta Community College for two years to get my associates degree and to save money. Many of my friends, who attended classes with me, and others in the class were merely going to college because it was something their parents told them they had to do. When I would have discussions with my friends about what they were going to college for, many times the answer was “because it gets my parents off my back.” When digging further, most of them knew what they wanted to do, but they didn’t need to go to college for them to do it. Some of them wanted to run their own local businesses, some of them wanted to work construction and there were a variety of other things they wanted to do. I’m not saying that my friends weren’t going to benefit from attending and getting their degree, but many of them were just delaying the inevitable. Like my friends that decided that trade school was the way to go, they could have started their journey right out of high school and got a two year jump on creating income. While there are plenty of statistics that show that college graduates earn more over their lifetime, the additional two years and sometime four years that a person could generate income can provide a wealth of experience and income that they weren’t going to get if they spent that time in college. 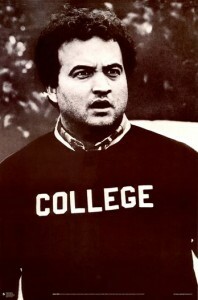 With that said, there are three reasons that I think a person should go to college. 1) To get a degree for a profession where a degree is required. If the person knows what they want to do and a degree is absolutely required or will help that person have a career in their desired profession, then that person should go to college and get their desired degree. In this case, the person should research colleges and universities that specialize in that degree and have influential people in that industry that have graduated from that college or university. 2) To network with other people and create a life experience. These could be two different points, but I really think the person that’s going to go to college to create a life experience is also going to make quite a few friends along the way. That person should join a social club, like a fraternity or sorority. If this is the case, the person should really aim as high as they can on the list of best universities, especially private universities where many of the affluent send their children. 3) For the person that has no clue what they want to do in life and is looking for career. For this person I recommend starting out in a community college with a specific degree in mind, but being very open to changing their major as they take more classes and learn about different subjects. Except in the first case where the person knows what they want to do, I recommend that people pick a subject that they already have a passion for or a strong interest in learning. For example, if you have a strong interest in learning more about how people think or why they do things, then that person should consider getting a degree in psychology. If you’re reading this post and you’re looking for advice on why a person should go to college, then my suggestion is to find out what the person’s dreams and aspirations are. If college fits in those plans, then yes, it’s the right move. If it doesn’t, then tell them to follow their dreams and if they don’t work out, then they can go get a college degree.